Seven professors in the Purdue Polytechnic Institute will be part of the national Advanced Robotics Manufacturing Institute announced January 13 by the U.S. Department of Defense. The institute is headquartered and led by Carnegie Mellon University. The institute is the latest public-private Manufacturing USA Institute created by the U.S. government, industry, academia and the nonprofit sector to assist the advanced manufacturing sector in the country. 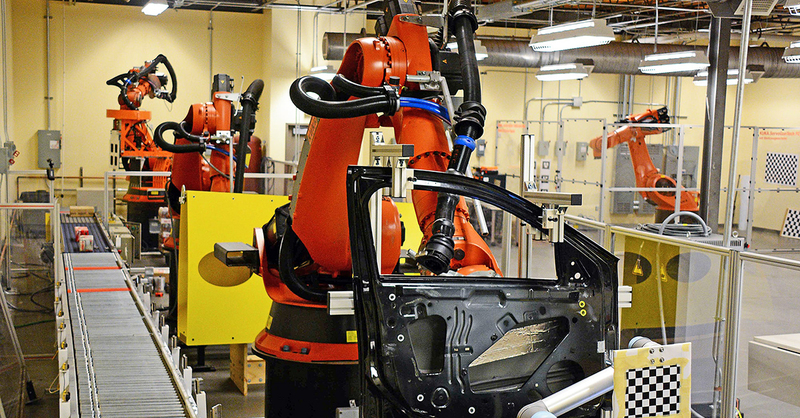 The new organization will leverage artificial intelligence, autonomy, 3-D printing and other emerging technologies to make industrial robotics more affordable for businesses of all sizes, adaptable for many uses, and able to achieve more. Government, industry and academic leaders said this new generation of robotics has the potential to create large numbers of new jobs and fuel economic growth by putting the U.S. squarely in the lead on advanced manufacturing. Four others from Purdue University are also part of the team. Read the Purdue University news release about the institute. Read the Carnegie Mellon announcement.